Our jewelry is exquisitely different. 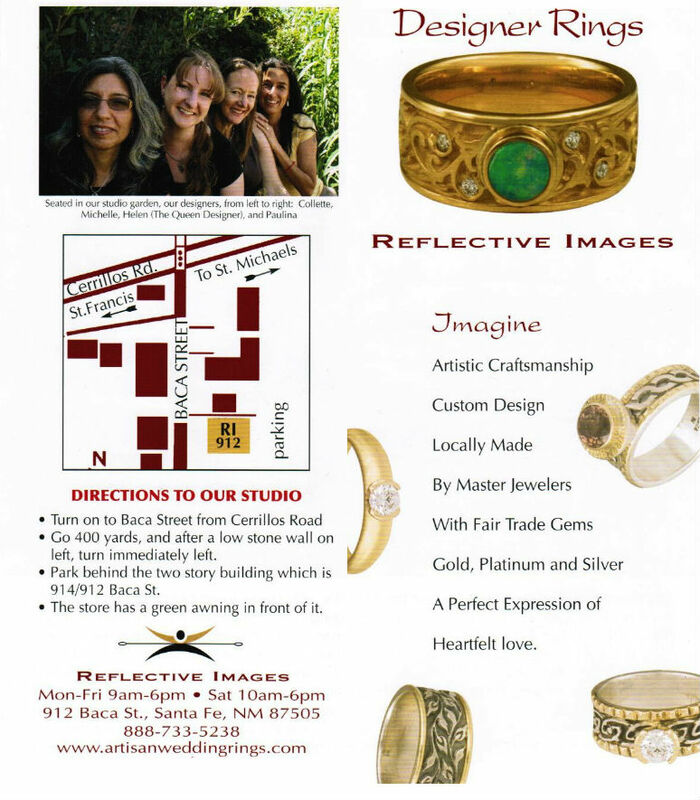 We also specialize in beautiful wedding and engagement rings made in Santa Fe. Choose from hundreds of designs, or we will create your own beautiful custom design.